Alan Turing’s personal mathematical notebook went on display a few days ago at Bletchley Park near London, the European headquarters of the Allied codebreaking operation in World War II. Until now, the notebook has been seen by few — not even scholars specializing in Turing’s work. It is on loan from its current owner, who acquired it in 2015 at a New York auction for over one million dollars. A question uppermost in the minds of Turing fans will be whether the notebook gives new information about his famous code-cracking breakthroughs at Bletchley Park, or about the speech-enciphering device named “Delilah” that he invented later in the war at nearby Hanslope Park. The answer may disappoint. 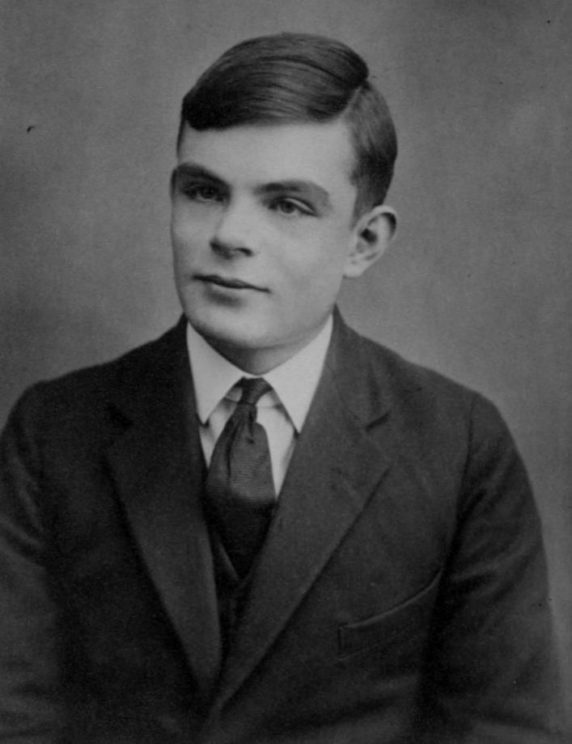 Although most probably written during the war, the notebook has no significant connection with Turing’s work for military intelligence. Nevertheless it makes fascinating reading: Turing titled it “Notes on Notations” and it consists of his commentaries on the symbolisms advocated by leading figures of twentieth century mathematics. Alan Turing’s signature. Public domain via Wikimedia Commons. My interest in the notebook was first piqued more than 20 years ago. This was during a visit to Turing’s friend Robin Gandy, an amiable and irreverent mathematical logician. In 1944-5 Gandy and Turing had worked in the same Nissen hut at Hanslope Park. Gandy remembered thinking Turing austere at first, but soon found him enchanting — he discovered that Turing liked parties and was a little vain about his clothes and appearance. As we sat chatting in his house in Oxford, Gandy mentioned that upstairs he had one of Turing’s notebooks. For a moment I thought he was going to show it to me, but he added mysteriously that it contained some private notes of his own. In his will Turing left all his mathematical papers to Gandy, who eventually passed them on to King’s College library — but not the notebook, which he kept with him up till his death in 1995. Subsequently the notebook passed into unknown hands, until its reappearance in 2015. Gandy’s private notes turned out to be a dream diary. During the summer and autumn of 1956, two years after Turing’s death, he had filled 33 blank pages in the center of the notebook with his own handwriting. What he said there was indeed personal. Alan Turing, aged 16 by unknown. Public domain via Wikimedia Commons. Turing’s own writings in the notebook are entirely mathematical, forming a critical commentary on the notational practices of a number of famous mathematicians, including Courant, Eisenhart, Hilbert, Peano, Titchmarsh, Weyl, and others. Notation is an important matter to mathematicians. As Alfred North Whitehead — one of the founders of modern mathematical logic — said in his 1911 essay “The Symbolism of Mathematics”, a good notation “represents an analysis of the ideas of the subject and an almost pictorial representation of their relations to each other”. “By relieving the brain of all unnecessary work”, Whitehead remarked, “a good notation sets it free to concentrate on more advanced problems”. In a wartime typescript titled “The Reform of Mathematical Notation and Phraseology” Turing said that an ill-considered notation was a “handicap” that could create “trouble”; it could even lead to “a most unfortunate psychological effect”, namely a tendency “to suspect the soundness of our [mathematical] arguments all the time”. This typescript, which according to Gandy was written at Hanslope Park in 1944 or 1945, provides a context for Turing’s notebook. In the typescript Turing proposed what he called a “programme” for “the reform of mathematical notation”. Based on mathematical logic, his programme would, he said, “help the mathematicians to improve their notations and phraseology, which are at present exceedingly unsystematic”. Turing’s programme called for “An extensive examination of current mathematical … books and papers with a view to listing all commonly used forms of notation”, together with an “[e]xamination of these notations to discover what they really mean”. His “Notes on Notations” formed part of this extensive investigation. Key to Turing’s proposed reforms was what mathematical logicians call the “theory of types”. This reflects the commonsensical idea that numbers and bananas, for example, are entities of different types: there are things which makes sense to say about a number — e.g. that it has a unique prime factorization — that cannot meaningfully be said of a banana. In emphasizing the importance of type theory for day-to-day mathematics, Turing was as usual ahead of his time. Today, virtually every computer programming language incorporates type-based distinctions. Turing never displayed much respect for status and — despite the eminence of the mathematicians whose notations he was discussing — his tone in “Notes on Notations” is far from deferential. “I don’t like this” he wrote at one point, and at another “this is too subtle and makes an inconvenient definition”. His criticisms bristle with phrases like “there is obscurity”, “rather abortive”, “ugly”, “confusing”, and “somewhat to be deplored”. There is nothing quite like this blunt candor to be found elsewhere in Turing’s writings; and with these phrases we perhaps get a sense of what it would have been like to sit in his Cambridge study listening to him. This scruffy notebook gives us the plain unvarnished Turing. Featured image credit: Enigma by Tomasz_Mikolajczyk. CC0 Public domain via Pixabay. Jack Copeland, FRS, NZ, is Distinguished Professor in Arts at the University of Canterbury, New Zealand, where he is Director of the Turing Archive for the History of Computing. He has been script advisor and scientific consultant for a number of recent documentaries about Turing. Jack is Co-Director of the Turing Centre at the Swiss Federal Institute of Technology (ETH), Zurich, and also Honorary Research Professor in the School of Historical and Philosophical Inquiry at the University of Queensland, Australia. In 2012 he was Royden B. Davis Visiting Chair of Interdisciplinary Studies in the Department of Psychology at Georgetown University, Washington DC, and in 2015-16 was a Fellow at the Institute for Advanced Studies in Israel. A Londoner by birth, he earned a D.Phil. in mathematical logic from the University of Oxford, where he was taught by Turing's great friend Robin Gandy. 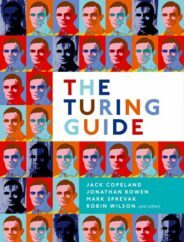 Jack is also a co-author of The Turing Guide. One of the worlds greatest unknown heroes. I bought his book about him since I find him interesting.